The Umbrella Foundation was founded in response to the growing number of corrupt children’s homes or ‘orphanages’ in Kathmandu that neglected their children’s most basic rights – food, education, safe shelter, healthcare and love. 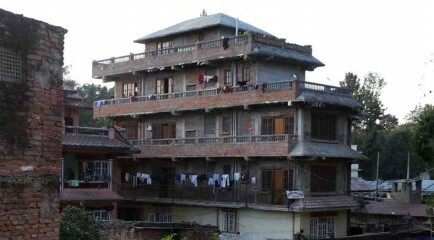 In October 2005, with the help of the Nepali government’s Child Welfare Board (CWB), Umbrella carried out our initial rescue and closed down the first of these rogue facilities. Recognizing the high standard of care Umbrella offered its children, the Child Welfare Board sought our help in repeating this intervention elsewhere. Between 2005 and 2009, we closed down 7 corrupt homes and relocated the children living in them, many of whom were suffering from severe malnutrition, dehydration, forced labour and general ill-health. Umbrella also performed smaller-scale rescues of children from domestic servitude, abandonment, and life on the streets. To date, we have rescued over 405 children from such conditions – with many originally placed in our childcare homes. However, over time it became apparent that many of these rescued children had living parents and families, so the main focus was then to reunite them back with their families, and continue to support them in their family environment. Since 2009, more than 200 of these children have now been reintegrated back with their local communities, and 59 children continue to be supported for their education and overall wellbeing in this programme. 47 young adults (16-18 year olds) are enrolled in the Next Steps Education Programme, with more than 160 having already gone through and signed out from the NSEP. We now offer our support in an advisory capacity to other organizations and the Child Welfare Board in further rescues. This ensures our knowledge and expertise still goes to good use in actively fighting the growth of illegal ‘orphanages’ and the negative effects of child trafficking. Since early this year, we have phased out our last Childcare Homes, and continue to focus on reintegration and supporting children in alternative arrangements such as foster care. See below for the story of one such rescue carried out by Umbrella. In 2007, two Irish volunteers begin to support a small orphanage in Gongabu, close to Swoyambhu where we are now situated. When questions arose about the management’s integrity, the volunteers asked Umbrella to manage the accounts and give educational support in the form of tutors. The orphanage had to be closed down in April 2009, when abusive and corrupt managers made this arrangement no longer feasible, and the children were moved to live safely in Umbrella.